If you are interested in catching a trophy Lake Trout and trout fishing Montana, Jeff Rach’s Flathead Lake Charters is the outfit to help you succeed. On our half day, full day or twilight charters, we target the largest mackinaw while using the lightest tackle – this provides you with challenging fun as you feel the weight of your prize trout as you reel him in. 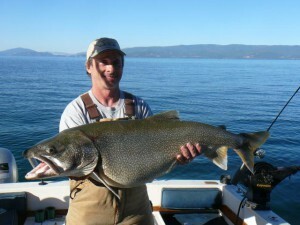 We catch Lake Trout exceeding 30 pounds every year, and 15-20 pound fish are common. 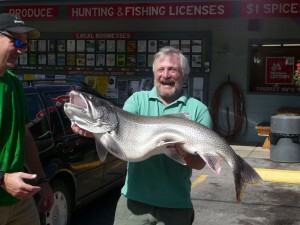 Why not ride the “ultimate ride” while fishing for Lake Trout? Grady White boats are considered among the safest boats made, and our 2 Grady Whites, 22′ & 20′, have cuddy cabins with private facilities, walk around decks and a padded front seat – providing comfort and protection from the elements. Our Montana fishing guides boats are equipped with top of the line downriggers, fish finders, GPS navigational systems, VHF radios and of course all the necessary safety equipment! 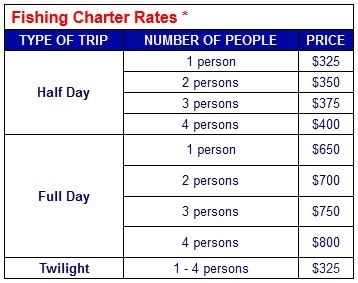 *Cancellation Policy * If canceling 48 hours or less of your trip time, a 50% cancellation fee will apply. * We DO NOT apply a surcharge for using credit cards! Clients must provide their own fishing license. Two day licenses cost $35.00 and are for sale just minutes from the boat.